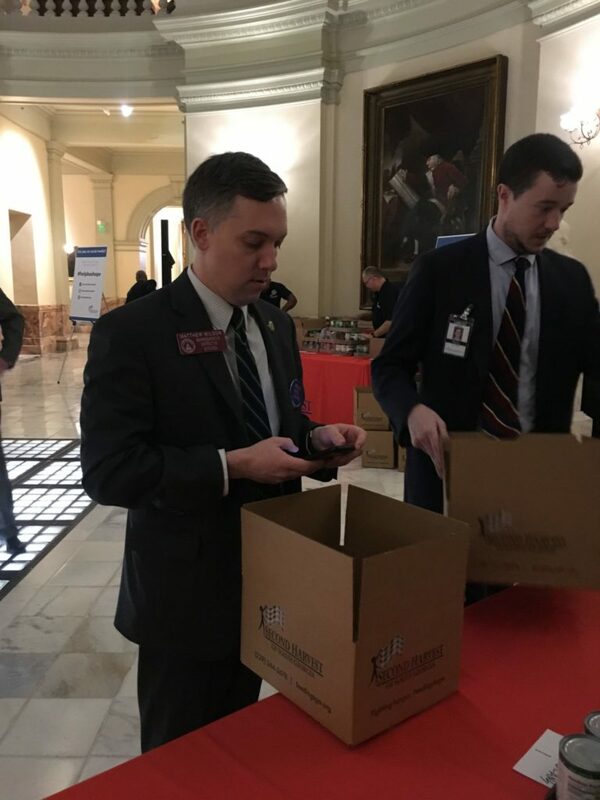 On February 12, Second Harvest of South Georgia hosted a disaster box pack in the Rotunda of the State Capitol. The ‘Help. Box. Hope.’ event was the first of its kind on Capitol Hill. 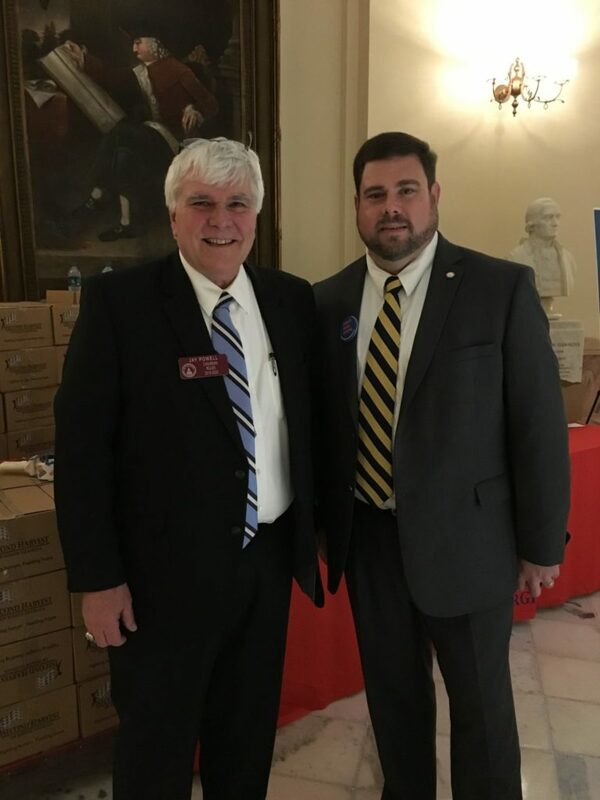 The Georgia General Assembly generously appropriated $700,000 to SHSG to help offset our tremendous costs for relief efforts in the wake of Hurricane Michael. We wanted to let the legislators experience firsthand where their investment goes, but we know the demands on their time are great. So, we took the show on the road! We loaded a straight truck with non-perishable food and boxes, and we headed north. 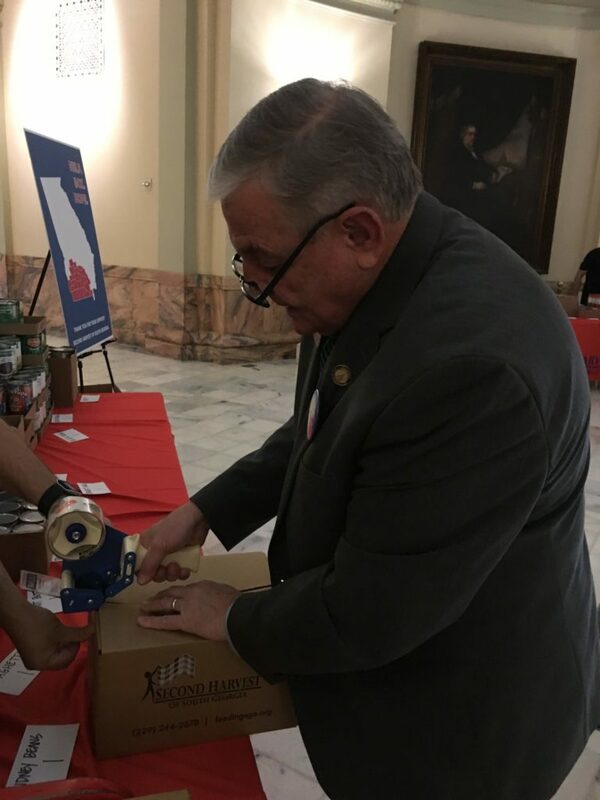 We built 200 disaster pantry boxes like storm victims receive. 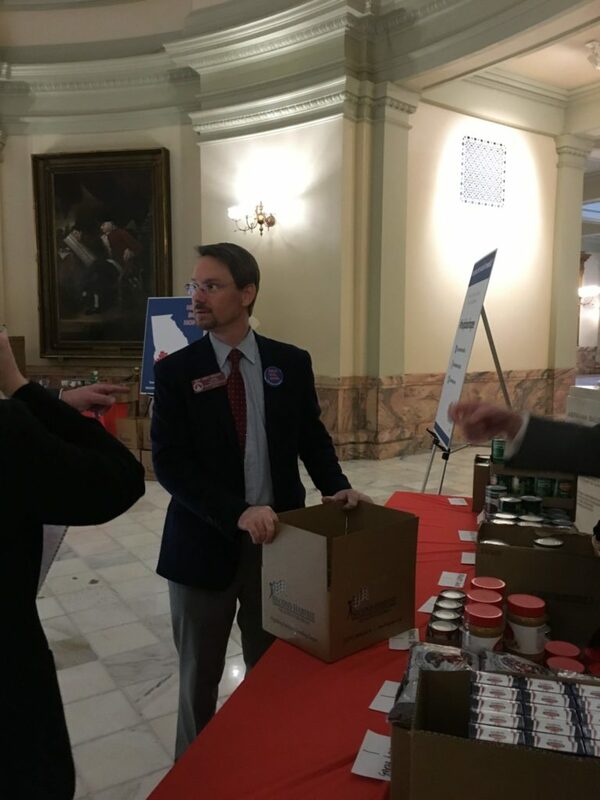 We had more than 50 legislators and elected officials roll up their sleeves and help.? 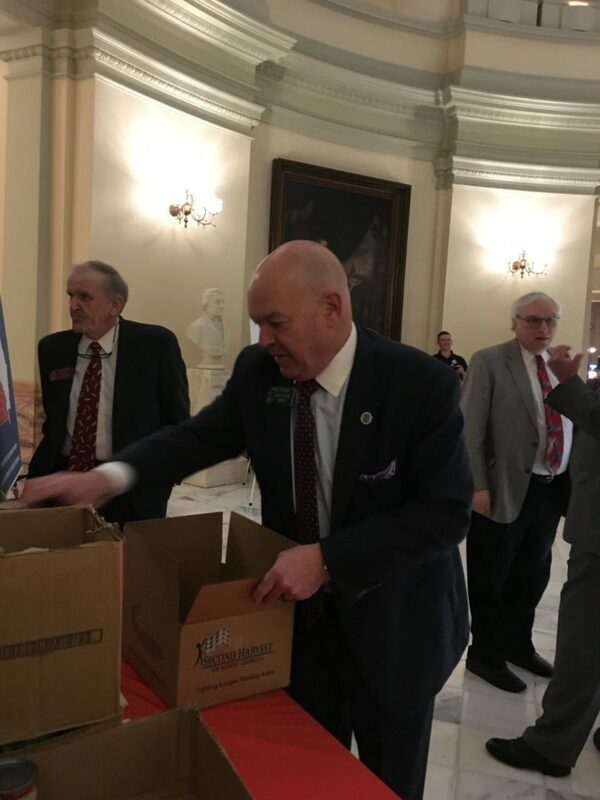 We are grateful for their support and look forward to continuing to serve our neighbors in need here in Southwest Georgians.? Second Harvest of South Georgia has requested the following waiver for its Summer Food Service Program through USDA. Please contact Winona Green at WGreen@FeedingSGA.org with questions. 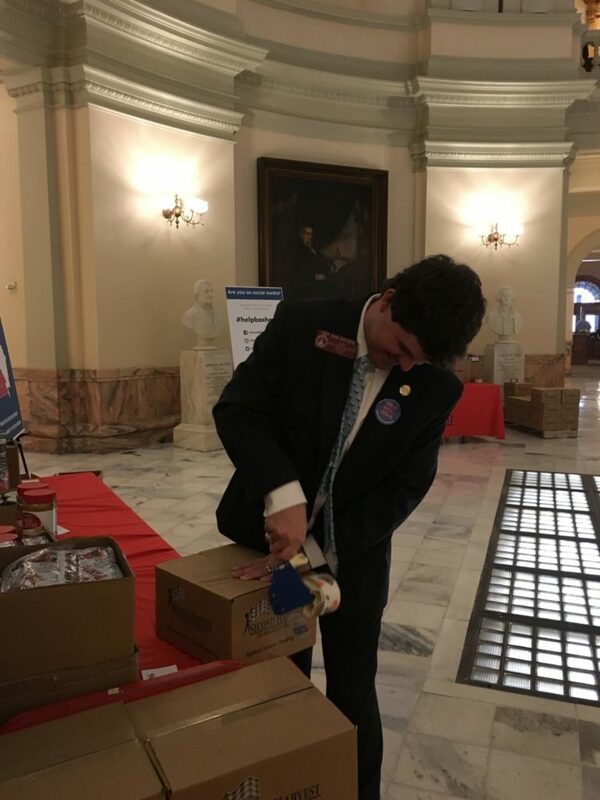 As an administrative sponsor for the Summer Food Service Program in South Georgia, we respectfully request continuance of the recently rescinded waiver pertaining to monitorings. 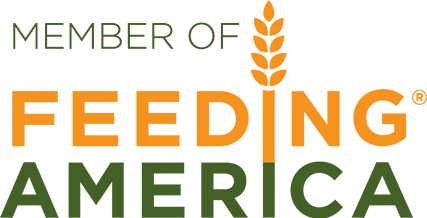 As requested in USDA Policy Memorandum CACFP 12-2018/SFSP 05-2018, below is a detailed explanation of the need for the waiver. 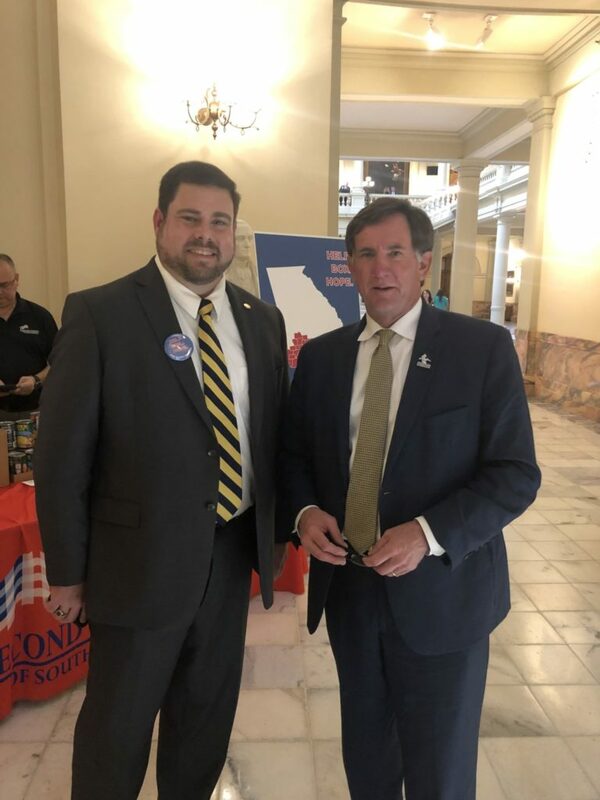 CHALLENGE: The rescission of this waiver creates a hardship for rural area sponsors like Second Harvest of South Georgia. We anticipate that this will create a barrier to accessible meals for children in need. 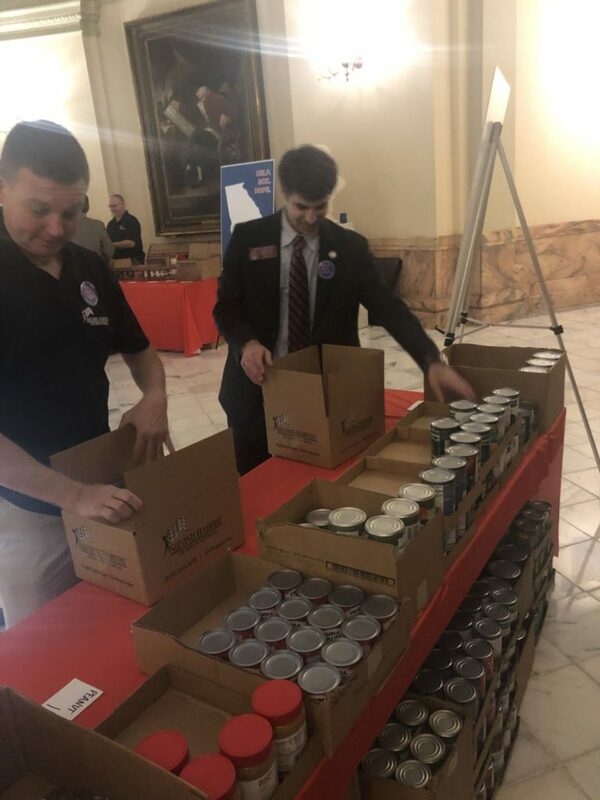 It will not only prevent us from expanding the program in an area with among the highest rates of child food insecurity in the nation, but it will cause a decrease in the number of sites (and therefore children) that we are able to serve. We serve a 30 county area that spans nearly 13,000 square miles. Last summer, we operated nearly 20 sites and are looking to increase that number this upcoming summer. In a rural area like ours, our sites can be located great distances from one another. The drive time from our branch to a site can be upwards of 1 ½ hours one way. Scheduling first week monitorings for that many sites while accommodating approved meal service times and driving time requires additional costs for staffing, vehicle rentals, fuel, etc. Our programmatic costs go up drastically while our reimbursement rates will remain the same. This regulation may be feasible for sponsors in urban areas where all sites are in close proximity, but it puts an disproportionate, and frankly discriminatory, burden on rural sponsors. It creates an disincentive to growing the programs in rural areas. 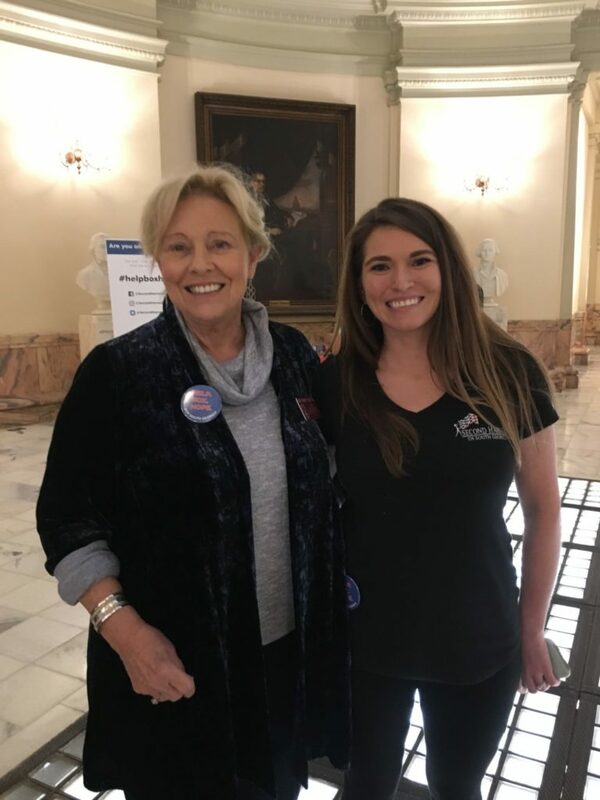 GOAL: The goal of continuing this waiver is to decrease the administrative burden on rural sites, thereby encouraging rural sponsors to add additional sites. OUTCOMES: By continuing the first week site visit waiver for returning sites, rural area sponsors like Second Harvest of South Georgia will be more likely to increase the reach of their programs and, in turn, feed more children in need in areas where SFSP sites are few and far between. 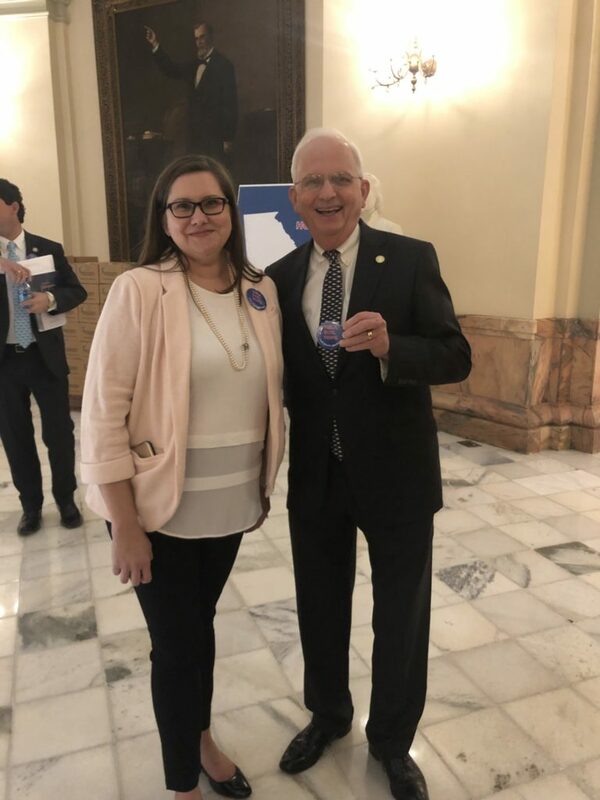 In Southwest Georgia where the rates of child food insecurity are among the highest in the nation, waiving the requirement for first week site visits will make it possible for us to grow our program. (2) Sponsors shall visit each of their sites at least once during the first week of operation under the Program and shall promptly take such actions as are necessary to correct any deficiencies. (3) Sponsors shall review food service operations at each site at least once during the first four weeks of Program operations, and thereafter shall maintain a reasonable level of site monitoring. Sponsors shall complete a monitoring form developed by the State agency during the conduct of these reviews. 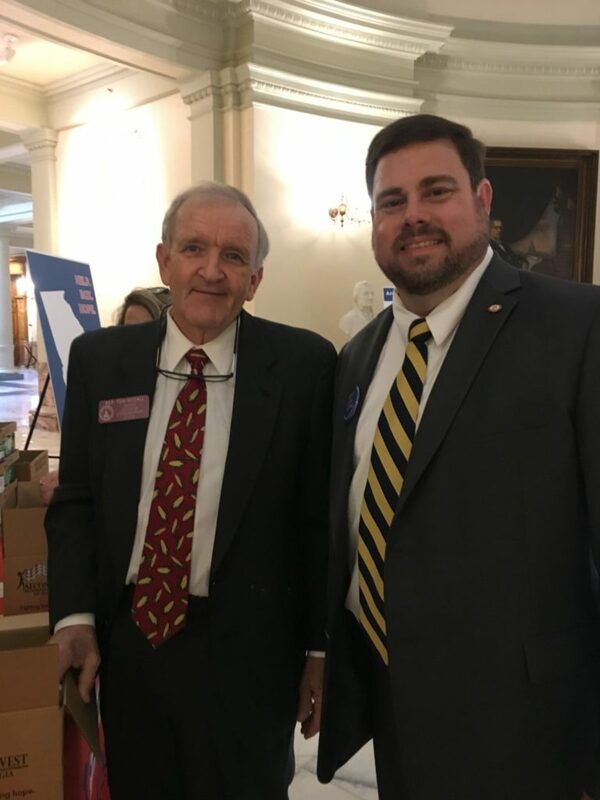 If granted a continuance of the rescinded waiver, Second Harvest of South Georgia (and other sponsors) will conduct site visits to returning sites with no serious deficiency findings within the first four weeks of operation. •	Description of any steps the State has taken to address regulatory barriers at the State level. •	Anticipated challenges State or eligible service providers may face with waiver implementation. We do not anticipate any challenges to implementing the waiver since it was in place until recently. •	Description of how the waiver will not increase the overall cost of the program to the federal government. The waiver will not increase program costs to the federal government. The waiver has been in place until recently. 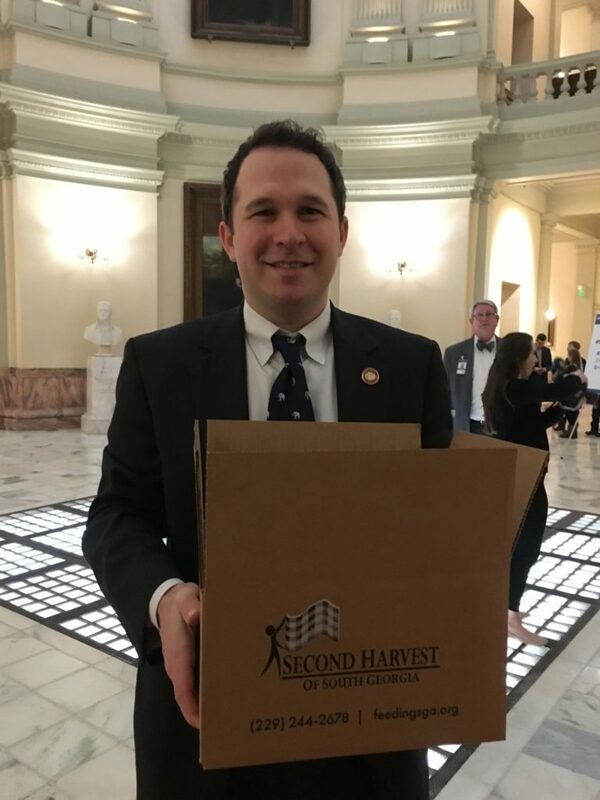 Without the waiver, sponsors like Second Harvest of South Georgia will see increased costs associated with labor, vehicles, fuel, etc. We request that the waiver be reimplemented immediately for the upcoming SFSP operational period. We will conduct monitoring and review procedures in accordance with SFSP Administrative Guidance published by USDA. Thank you for your assistance in pursuing this waiver. 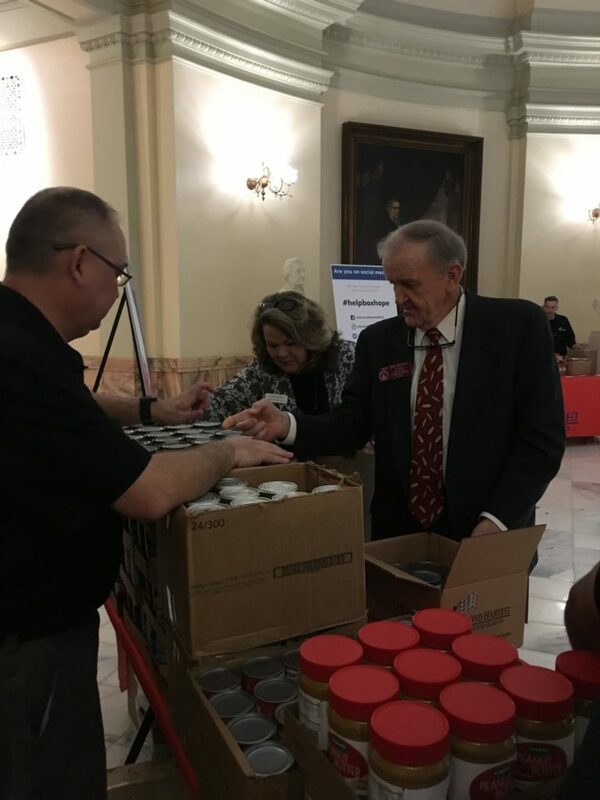 We are grateful for your continued partnership in feeding the children of South Georgia. If I can provide additional information necessary to submit the request for waiver to SERO, please do not hesitate to contact me. 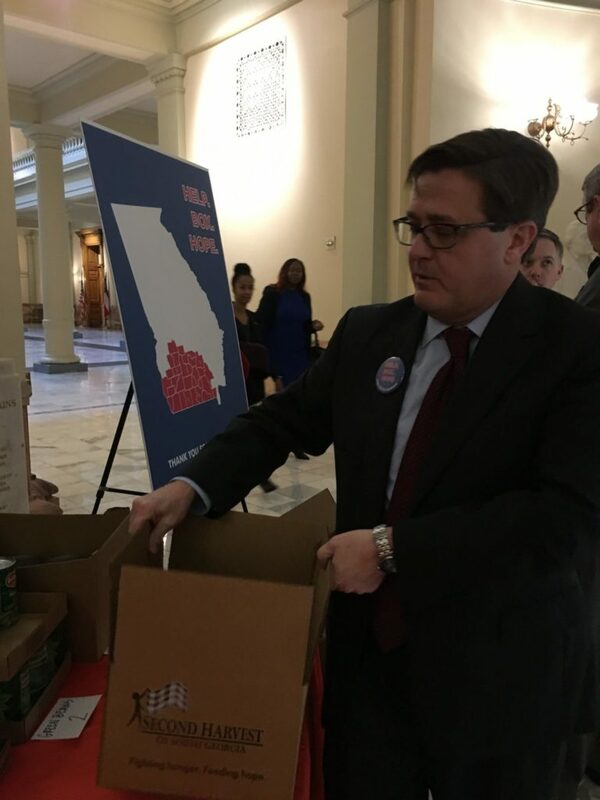 Nearly 1 in 4 people in South Georgia struggle with hunger daily, and 1 in 3 area children may go to bed hungry tonight. We are doing something about that, and you can help. For $5, you can ensure that 1 family has food this Thanksgiving. You have the opportunity not just feed bodies but to feed the hope that tomorrow will be better than today. Each box contains 20 pounds of food and will, with very little supplementation feed a family of 4 for approximately a week. Boxes will be distributed at Valdosta High School beginning at 8 am and continuing while supplies last. These sponsorships can come from individuals, families, churches, or even businesses. 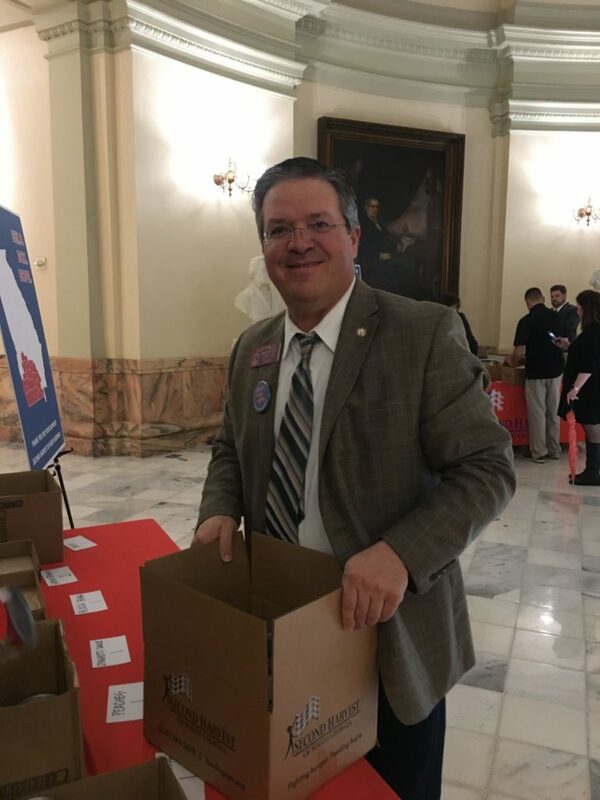 Sponsorships received before Friday, November 16, can include a message of your choice for the box recipient. The messages (1 per box sponsored) can be “in memory of”, “in honor of”, “compliments of”, etc. Even simple messages of hope like “We hope this box brightens your Thanksgiving” may bless those who receive it. Please help our neighbors in need by sponsoring a box today! 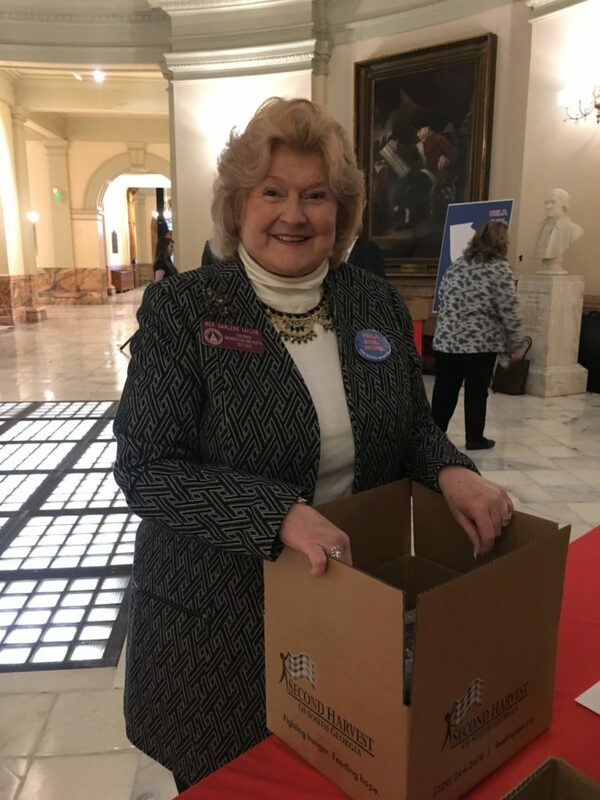 To sponsor a box, click here for instructions on how to complete your donation by mail or in person. You may also complete your sponsorship online by clicking here. You’ll be redirected to our Donations page. Simply click the DONATE button at the bottom and make sure you note TGBOX in the Comments field. Volunteer opportunities for this event will be available. Please contact volunteer@feedingsga.org or call (229) 244-2678 to inquire. Second Harvest needs your help! Our disaster relief efforts have had all almost our entire team busy for two weeks now. Helping our neighbors affected by Hurricane Michael has been our primary focus during that time. But hunger in South Georgia doesn’t take a break for Mother Nature. We need volunteers to pack food boxes in our Valdosta headquarters that we will then distribute for disaster relief, senior hunger, and Thanksgiving. Hurricane Michael wreaked havoc across much of Southwest Georgia, but folks from around the state have come together to help residents clean up and rebuild. 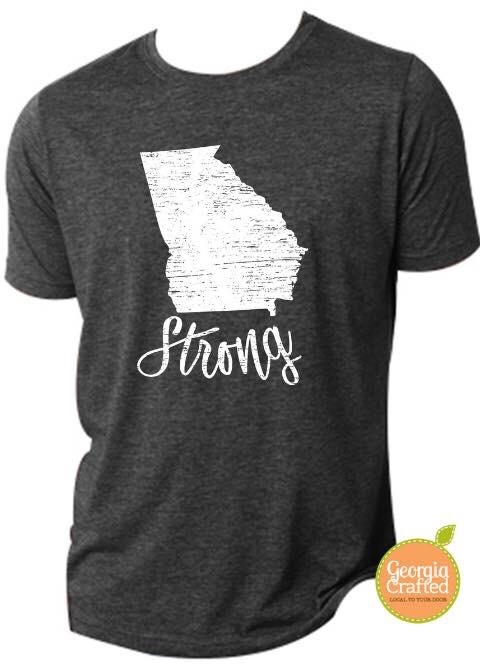 Our “Georgia Strong” and “We are Georgia” t-shirts were designed with Southwest Georgia residents in mind. We must always remind ourselves that we are Georgia Strong, and we are stronger when we come together as a state to help our neighbors. Your #GeorgiaCrafted Peaches want to do EVERYTHING we can to help continued efforts to rebuild #SWGA and help farmers who have lost so much during this terrible storm. 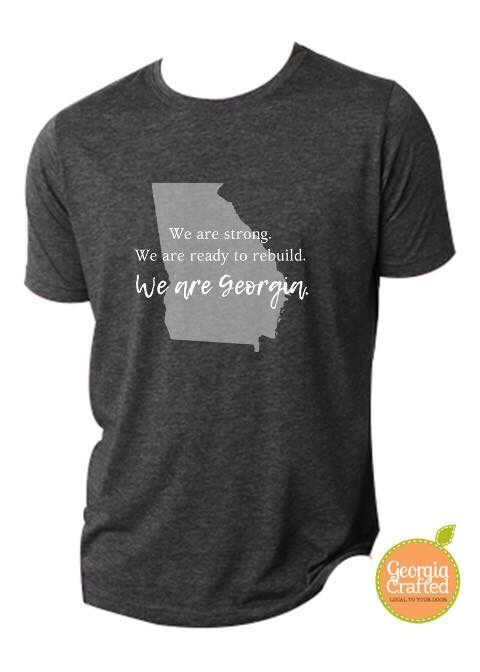 With that said, 50% of the proceeds from these t-shirts will be donated to Second Harvest of South Georgia, Inc. for continued disaster relief efforts, and we are providing FREE SHIPPING on all preorders of these shirts. 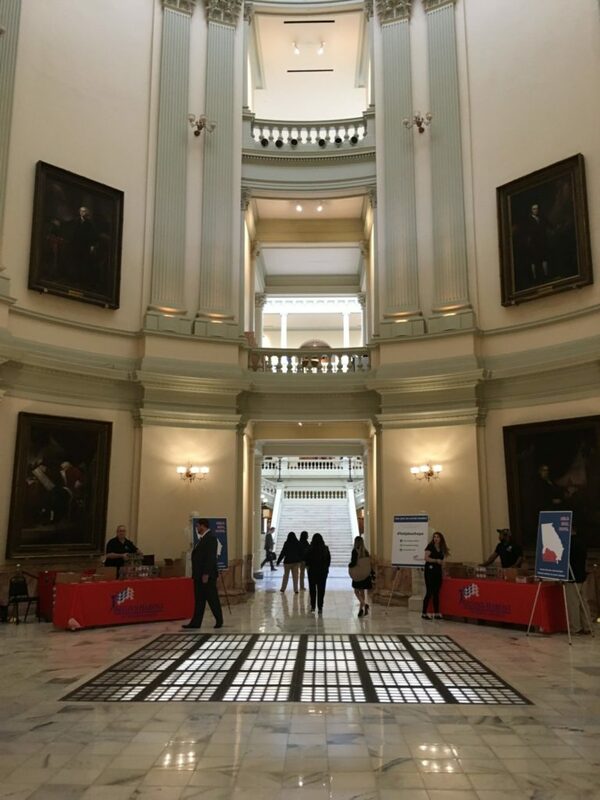 Let’s always remember that we are strong, we are ready to rebuild, and most importantly, we are #Georgia! USE CODE HURRICANEMICHAEL AT CHECKOUT FOR FREE SHIPPING. SHIRTS WILL SHIP MID-NOVEMBER. We’ve got a busy fall planned at Second Harvest! Click the links below for more information on each upcoming event at Second Harvest. Make a Difference Day 2018 – Our largest volunteer event of the year will be held in Valdosta on October 27. Click HERE to register! Hands on Thomas County Day – We partner with HOTC for our fall volunteer event in Thomasville. It will be October 20. Click HERE for more information on that event. Annual Agency Renewal Meetings – Our mandatory agency renewal meetings will be held in Thomasville (10/10 and 10/13) and Valdosta (10/17 and 10/20). For more information, contact our Partner Services team at (229) 244-2678 x 206. 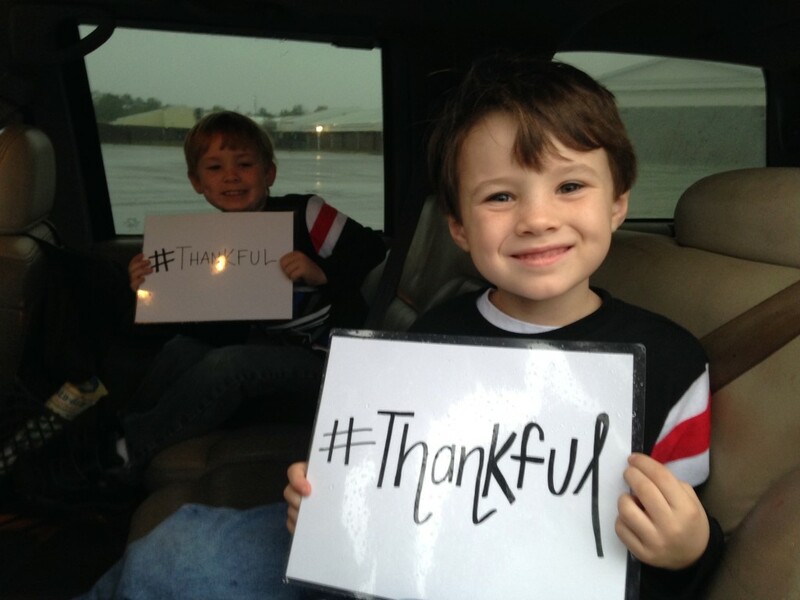 Thanksgiving for Thousands – Our single largest food distribution of the year will be held on November 20 in Valdosta. Volunteer registration is accessible by clicking HERE. For those who will be seeking food assistance that day, we will be releasing details closer to the date of the event. As always, please contact us directly if you have questions or need additional information. Hi everyone! Here are some details and reminders for Kickoff. Please read this ENTIRE document carefully. We will be very busy that week. Both staff and volunteers will be doing the best we can to make things move quickly. Your patience and good manners will be much appreciated. Keep in mind that, during Kickoff, Hannah and Eliza will not be able to respond to calls, texts, Facebook posts/messages, or emails until the end of each day. 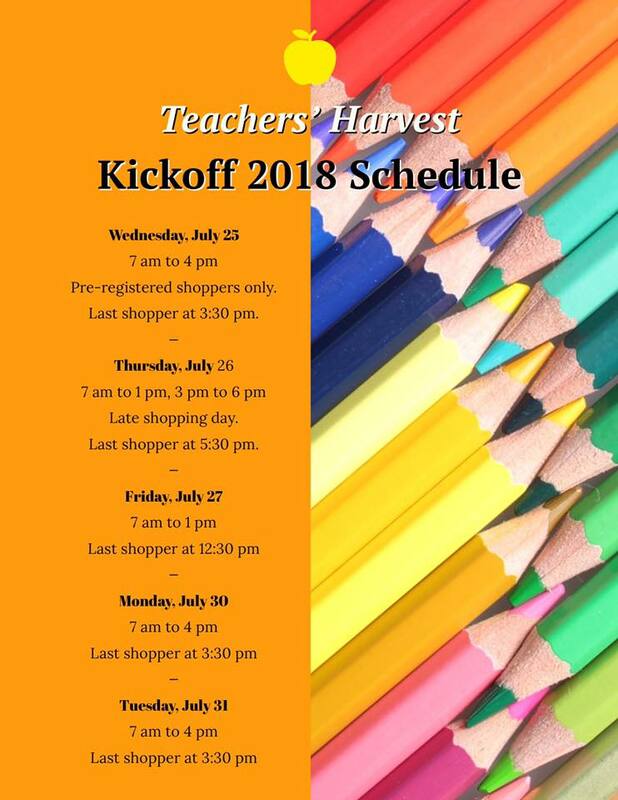 • Teachers Harvest is located at 1411 Harbin Circle, Valdosta, GA 31601. The entrance is at the rear of the building. Parking is located in the grass lots behind the building ONLY. Do NOT park in any of the paved areas (street, cul de sac, loading dock, front parking lot). Parking in the front of the building is reserved for Second Harvest staff and food bank partner agencies. PLEASE consider carpooling as parking is limited. • You must present credentials to participate. o If we have a 2018-19 staff roster for your school, you only need to bring your photo ID. We will be posting a list of which schools have sent in rosters in our TH Facebook group. o If we do NOT have a roster for your school, please bring proof of identity and employment. If your employee ID badge has a photograph AND your title, that will suffice. If not, bring a photo ID and documentation that indicates your title (e.g. Teacher) like a contract or a letter from your administrator. o Pay stubs will NOT be accepted as proof of employment. • You may NOT leave children unsupervised in your vehicle or outside while you wait/shop. Older children do not count as supervision. Your children are welcome to accompany you while shopping. Additionally, no pets are allowed on the premises (including left in your vehicle). • You may bring a guest or helper to assist you with boxes. We cannot guarantee that we will have adequate volunteers to assist everyone. • Bring water, sunscreen, snacks, etc. We are doing and will continue to do our best to minimize your wait, but some standing in line is unavoidable. • There are NO appointment times. If you are on the confirmed Opening Day registration list, you may come any time during that day. If you registered for one of the other days, you may may come any time during the remainder of Kickoff. Eligible teachers may also come during the remainder of the week without registering online. • Keep in mind that inventory will be the same all week. You don’t have to be the first one in line to get good items. • The last shopper each day will be taken 30 minutes prior to closing. The line will be cut off at that point. • You may shop ONE time during Kickoff. • Our building is a working warehouse. We ask that you use good judgment with regards to safety. There will be large trucks and heavy machinery at work within the building and on our campus at all times during the day. Be aware of your surroundings. Answers to most questions about kickoff can be found here. We are busy preparing for the event, and so we ask that read through these before emailing or calling for more information. • Who is eligible to participate? o Full-time teachers, media specialists, and counselors employed by one of the PUBLIC schools in our 30 county service territory are eligible to participate. o Still unsure? A quick way to find out if you’re eligible can be found HERE. • Who is NOT eligible to participate? o Paraprofessionals, administrators, office staff, and other school employees are NOT eligible. o Private schools, day care centers, homeschools, and HeadStart Center employees are NOT eligible to start. • How do I register for Kickoff? o Registration is now CLOSED for Opening Day. You may still register here for Thursday-Tuesday. Eligible teachers may walk up Thursday – Tuesday during operating hours without registering online. Walkups are NOT allowed for Wednesday/Opening Day. o It is not necessary to register more than once. • What documentation do I need to bring? • If I’ve shopped before, do I still have to bring ID? o Yes, all shoppers must bring the required documentation. • I can’t be there for kickoff. Can my friend shop for me? o No. We are unable to accommodate Buddy Boxes during Kickoff. • Are guests allowed to accompany me? o You’re welcome to bring a guest with you. These guests are ONLY allowed to walk through with you. They are not allowed to shop. However, if you are bringing children, you must supervise them at all times as this is a working warehouse with lots of activity and heavy machinery in operation. o Children may NOT be left unattended in vehicles or outside during your visit. Older children (under the age of 16) may not act as supervision for younger kids. Pets are not allowed on campus at all. • Does it matter which day I come to Kickoff? Will I miss out on stuff if I can’t come the first day? o No, it doesn’t matter which day. Inventory will be the same every day. Registration is now closed, but eligible teachers may register on site. If you or someone you know needs help with summer meals, you can find the summer meals closest to you HERE. You can also text FOOD to 877-877. School’s out, and before children are rejoicing in the carefree days of summer. But for 1 in 3 children here in South Georgia, summer is far from a carefree time. Instead of enjoying fun childhood activities like pool parties, summer camps, and family trips, nearly 51,000 kids in our community will go hungry. For these children, no school means no lunch. 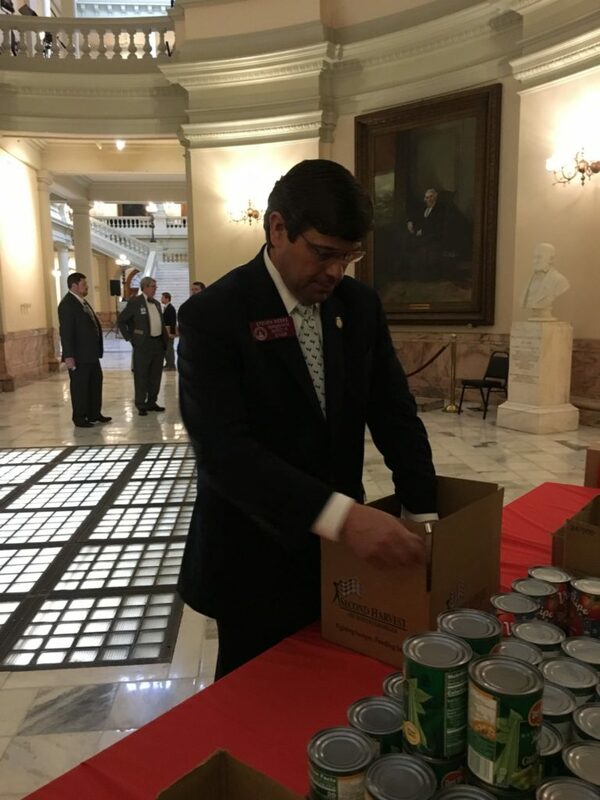 South Georgia has some of the highest rates of poverty and food insecurity in the nation, which means that many children live in homes that don’t regularly have enough to eat. 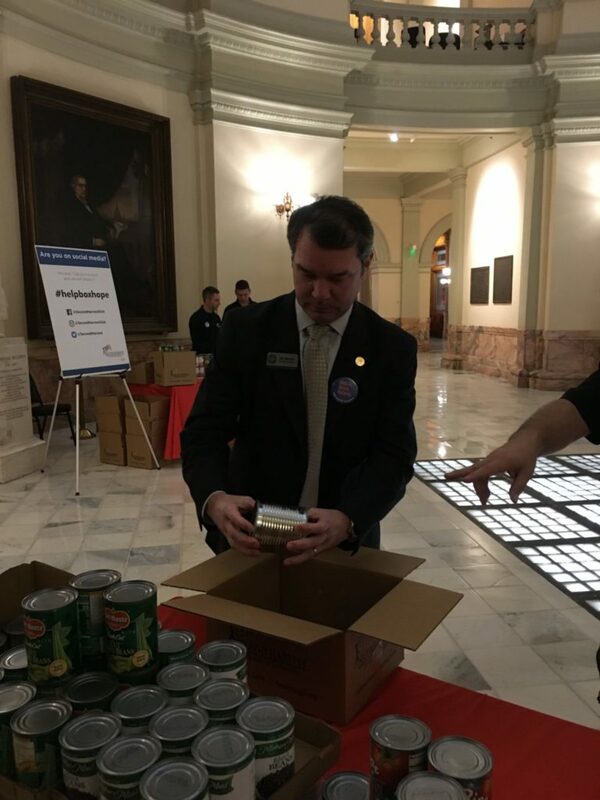 Because of this crisis, every school district in our area offers student school meals at completely no cost. Most students end up relying on these essential breakfast and lunchtime meals to provide them with the vital nutrition they need to learn and grow. Now that the school year is coming to a close, these children will lose access to their most reliable source of food, facing higher risks of fatigue, detachment, and health problems. Kids can also fall behind in mental development when they don’t eat enough nutritious meals, and once the new school year begins, many will have forgotten much of what they already learned. But that’s not all. For parents and caregivers who are struggling to make ends meet, the summer months can become an unbearable burden. Not only do these families have to secure and pay for childcare, they also have to find a way to replace the school meals their children receive during the rest of the year. In the summer, these kids and their families are at risk of going to bed every night with an empty stomach. With schools closed, where can families turn for the help they need? Thankfully, Second Harvest of South Georgia has an answer. Through our Kids Café program, we work with community partners to provide children with nutritious food year-round, but especially during the summer months. We were able to serve over 700,000 meals and snacks to kids last year, and now we are growing our program by establishing ‘KC on the Go’, mobile feeding sites through our Kids Café program. Soon, we’ll have the ability to bring nutritious food directly to the children who need it most. But in order to grow Kids Café and feed more children this summer, we need your support. You can help us end summer hunger before it begins. 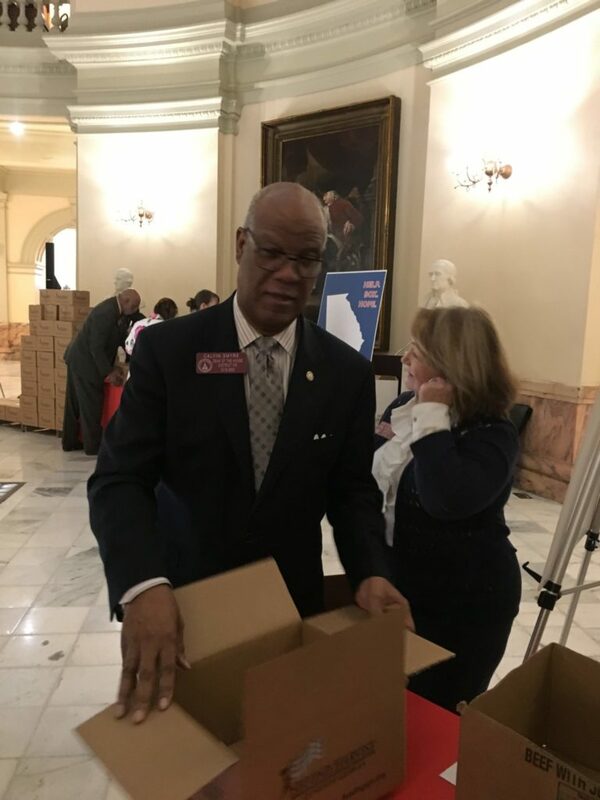 Please consider making a gift to Second Harvest of South Georgia today. Your generosity will have a lasting impact on children and families throughout our 30-county service area. No child should spend the summer without enough to eat. Together, we can ensure that kids can enjoy the next few months like they should—playing outdoors, spending time with friends, and growing strong—instead of going hungry.